Looking for some summer fun for your child in a comfortable, safe environment? Then the Henley Youth Summer Camp is for you! The Summer Day Camp has been designed to be a fun and safe environment for children, entering Kindergarten through 8th grade. 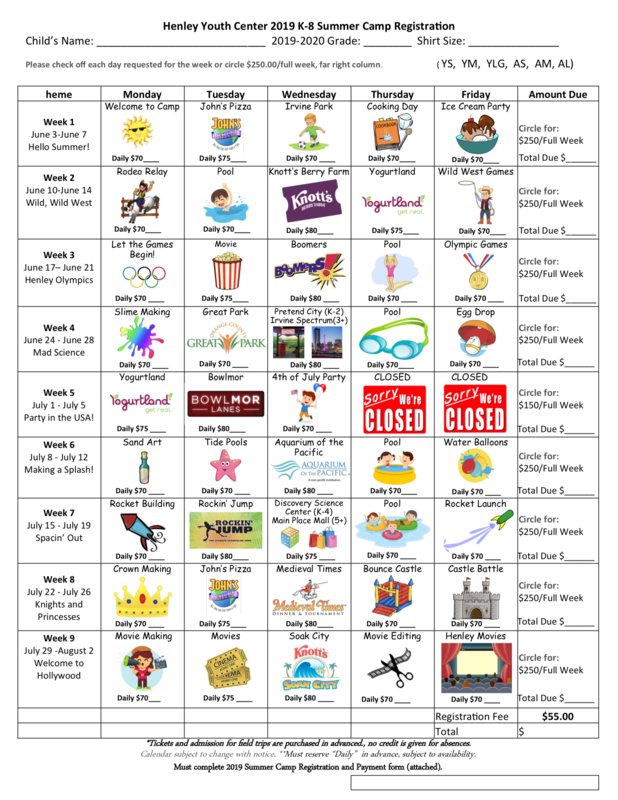 Daily activities are planned to complement the theme for the week. Camp days will be filled with a balance of arts and crafts, science, technology, cooking, sports, recreation, and field trips, with a flexible schedule for working parents or for kids who are just looking for some fun this summer.